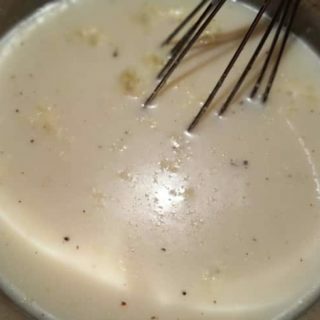 Cream of Anything Soup Recipe is very simple to make, healthier and much better then any condensed cream of soup from a can. I am not a fan of canned condensed cream of soup. It kinda really, grosses me out. It is so easy to make yourself! By changing the broth or bouillon flavor, you can make any flavor of cream of anything soup that you need for your recipe. No need to by canned condensed soup that is full of preservatives and very salty. Check out my Pork Chops in Homemade Mushroom Gravy to see how I incorporate this homemade Cream of Anything Soup Recipe into that recipe to make the gravy. 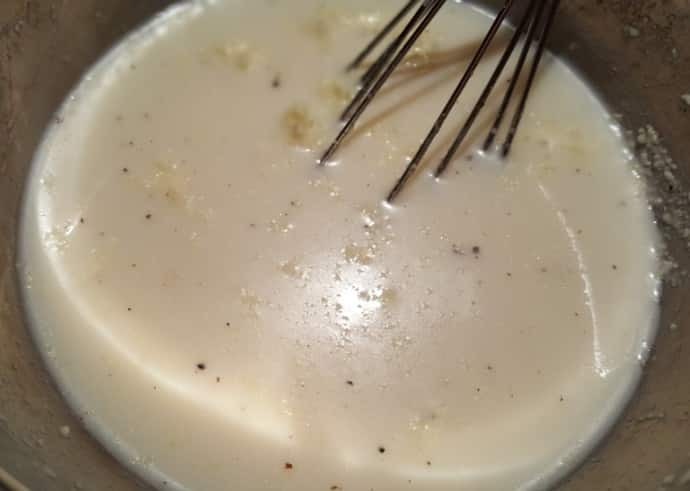 I make Cream of Mushroom and Cream of Chicken quite a bit, along with Cream of Vegetable Soup quite often and then whisk in a cup of Pressure Cooker Bone Broth and use it in a recipe calling for Cream of Soup. It’s just that easy. This Cream of Anything Soup Recipe is the basic recipe, so if you want a Cream of Mushroom Soup, just add chopped mushrooms, for Cream of Shrimp, add chopped shrimp and so on, plus a cup of Broth, and add to your recipe. More Recipes Using Cream of Anything Soup Recipe. In a small saucepan, whisk milk and cornstarch until well blended. Heat to a boil, stirring frequently. Simmer on low for one minute more to thicken. Use in recipes to replace one can of condensed cream of soup. PIN this Condensed Cream of Anything Soup Recipe! I haven’t used can of anything soup for years but once in a while I kind of miss this type of recipe. Thanks, Jill. I will use this. I’m eating more of a low carb diet, but this appears to be a better/healthier option than the canned soup. Thanks, Jill! I do use milk nor creamed soups. But I think I’ll try this with a plain soy. Thank you! Plain soy will do just fine. Thank you for visiting! In your narrative where you say this is a basic recipe, you say to add a cup of broth to the recipe. Is the cup of broth in addition to this basic recipe? I find this bewildering. I have the same question. It is unclear whether the broth is in addition to or instead of the milk or if the basic recipe is the “condensed” version and then the broth makes the “prepared soup” version. I am confused by this too. I hope we get an answer soon! I love your recipe for Pot Pie, and that you have included recipes for “cream of chicken soup” and dumplings!! Thank you! I received my Pro Pressure Cooker as a gift, and like a lot of ideas from “Eric”, but I am still learning! You were very helpful!! Thank you for all the great recipes you share. I love them!! How long can these “cream ofs” be refrigerated? Also, I would like to make a bunch of “cream ofs” and freeze them for future recipes. Can you tell me if they freeze well? This evening I made several jars each of Cream of Chicken (ohh la la..yum!! ), Cream of Mushroom, Cream of Celery and Cream of Vegetables (and jarred chicken stock too). Your “cream of” recipe is so easy! I love it. I have also made your Instant Pot New York Cheesecake about ten times since getting my IP for Christmas four mos. ago. My husband loves your cheesecake recipe, and it makes a great gift!! 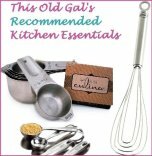 Thank you for sharing all your wonderful recipes. I am a huge fan!!! You say use a stainless steel pot–the only thing Stainless Steel I own is the insert for my Instant Pot. Can I use the pot that I already have? Sorry I forgot to ask–What kind of milk? We use 2%, is that okay? Do you add one cup milk and one cup of broth to make the cream soup ? I use this a lot because I have a son who can’t have dairy so I make this using dairy substitutes. Has anyone ever tried making a huge batch of this and canning it? Did it turn out ok? How long would this last in the refrigerator? Freezer? Also, how much broth do I add? Is this in addition to the milk? Can you use gelato or another thicker than cornstarch? If so do you have a suggestion? Thanks for all you do to help us all out. 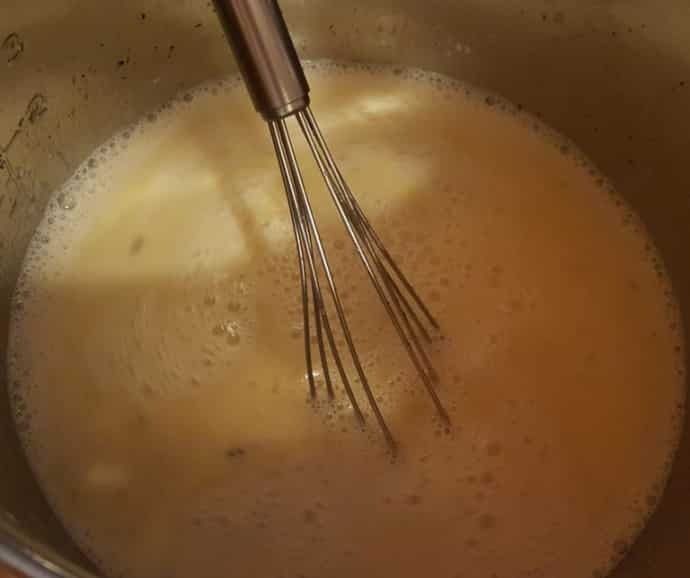 Do you know how to do a roux with flour and butter? A bechamel sauce? Look it up. Easy. For those of you that sound a bit confused this is the soup base recipe, you add the cup of broth and whatever chopped or pureed meat or veg where you are ready to actually make the soup. Thanks for the cream of anything soup recipe. We can’t do the canned, because of the salt. I quit making some of my old recipes, but now I can again. This soup recipe is fantastic! This is a healthy alternative to the canned soup loaded with preservatives and tons of salt. I added fresh mushrooms and wowed the entire family with a delicious dinner. Will be making this again.